Mobile app M8 on the UK festival season: Plan for wet weather & pack extra wet wipes! So, lots of you have made the pilgrimage to Glastonbury and are already enjoying the fun, you lucky things! This year’s is set to be spectacular, and it’ll have to be to follow Beyonce’s epic performance - check out Single Ladies - in 2011! Summer and festivals go hand in hand in the UK. A season of fun in the sun (well...fun anyway), every year hundreds of thousands of us pack up our cars, set the sat nav, and flock to festivals to listen to great music, enjoy amazing food and spend time with the people we love to have a laugh with. We’ve had a look and rounded up our other favourites for this summer, there’s something for everyone so book your tickets, fire up handy sat nav app M8, and head off for some fun! What to do: This festival is a family friendly affair, but certainly not . Spend a lovely weekend camping and enjoying art and science exhibitions, workshops and music that the whole family will love. This year's theme is machines: robots, rockets and anything you can think of! Lots to capture the imagination of kids of all ages. Cardboard city and 8 tonnes of play sand adds to the fun - imagine the dens and sand castles you could build with that?! Sounds awesome! What to do: A favourite for those looking for a magical experience. Superstitions are celebrated this year so grab your black cat, a couple of horseshoes and plenty of clover and head to the countryside with friends and family. This festival is held in a beautiful enchanted garden with everything you need for comfortable family camping. Watch theatre performances, learn about spellmaking, pamper your body & soul or try a casual pizza baking. Something a little bit different, a great experience! What to do: A highlight in any petrolhead’s calendar, Goodwood Festival of speed celebrates the world of cars, motorsports and most of all, speed. This year celebrates its 20th Anniversary and organisers have revved up the star studded lineup and visitor fun to mark the occasion! Want to meet Formula 1 legends? Witness the very best in petrol powered action? Drool over gorgeous vintage racers? This place has it all, and more. What to do: Pack up the car and bring your kids to one of the most beautiful places in UK. An amazing theme park, stunning castle grounds and the wild Jurassic coastline are sure to make for some fabulous photos of happy, smiley faces. Take a morning bicycle ride, catch the Horrible Histories crew live, try a touch of afternoon medieval jousting, enjoy an evening of songs around the campfire, and laugh your socks off at the children’s comedy club. This festival is chock-a-block with family friendly fun and of course, lots of dancing. What to do: Experience the marvellous city Edinburgh in all its splendour as it celebrates the finest in Scottish performance among breathtaking surroundings. Dedicating the events to the Year of Natural Scotland, this festival is set to capture the spirit of Scotland through traditional costumes and energetic dance, inspiring music and heart pounding-ly strong percussion. Perhaps the most memorable however, is the haunting lament of the Lone Piper, playing from one of the World’s most beautiful, iconic castles. What to do: What’s not to love about this?! Set to be an exceptional family day out in Yorkshire featuring a 5 hour airshow with heart stopping aerial aerobics from some of the world’s most highly skilled pilots; a 2 hour motoring show, and impressive military vehicle parade at the Dunsfold Aerodrome - home of TV show Top Gear. Participate in master classes and try motoring stimulators, watch daredevil stunts, pick up a little memorabilia and help raise money for charities. Fantastic! With so much going on this summer, we’re spoilt for choice! These are just a few of the festivals and family events that have caught our eye, but please let us know if you have plans to head to any others - we’re open to suggestions! With most of these festivals requiring a bit of travelling to get to each of the various locations, M8 UK is the perfect mobile app companion to help you get there with minimal stress. Using your iPhone, Android or BlackBerry mobile devices, you can plan your route with the integrated sat nav, calculate your ETA and keep an eye on the traffic with real time traffic news while watching out for those speed cameras that are certain to catch a few people out! Travelling with children is always going to test the stress levels so make sure you bring lots of games - or make them up as you go along(!) - and use M8 UK to plan toilet stops by locating the nearest service stations, pubs and restaurants. You might even be able to bag yourselves a family deal at one of the many roadside restaurants if you browse nearby MyVoucherCodes offers - now that will certainly get you in the festival spirit! Our top tips for successful festival-ing? Whatever you do, plan for wet weather, always bring extra tissues or baby wipes, and never, ever skrimp on snacks for a road trip. Happy UK festival season, folks! Mobile app M8 UK's tips for a top Wimbledon! What an amazing few days! M8 HQ ia a-buzz with all things Wimbledon this week as we see the The 127th annual Tennis major championship once again take over the South West of the capital over the next two weeks. Already we've seen favourites Nadal, Sharapova and Federer crash out and 7 players retire through injury, so the stage is set for a truly unpredictable Championships! 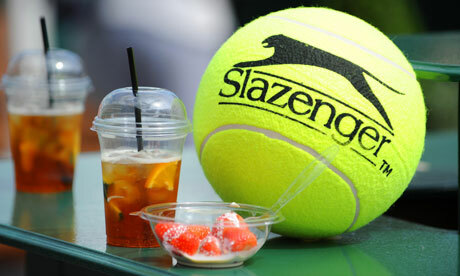 Final preparations were rounded up at the All England Club last week, and now our Wimbledon days are packed with star players, the spectators, the games, copious amounts of Pimm’s and of course, juicy strawberries and fresh cream! Every year thousands descend upon what is - at all other times of the year - a leafy village that seems a world away from the hustle bustle of central London. SW19 is transformed during the Championships that brings a fantastic buzz to the shops, cafes and restaurants catering for the influx of tourists and locals looking to celebrate what is one of the UK’s most important events of the year. If you’re lucky enough to be heading to Wimbledon this year, we’ve come up with a few tips to help you keep the stress levels to a minimum. Wimbledon remains one of the very few major UK sporting events where you can still buy premium tickets on the day of play. If you plan to get in line for the hottest tickets in London, we recommend you get the first tube of the day to make sure you’re in prime position. The walk from Southfields tube takes around 15-20 minutes so factor that in too. You can get to Wimbledon Championships by London Tube, by car, by bus, bike or walk if you’re lucky enough to be staying nearby. With such a small area welcoming hundreds of thousands of spectators, players and staff, please make sure you plan your route, allow yourself enough time and consider using a handy sat nav to map the best route, try to locate that golden parking spot, and plan your post-match socialising....Oh funny we should mention that, but mobile app M8 UK is perfect for that! Download it for free to your iOS, Android and BlackBerry Touch mobiles and start organising! Just like any British summer day, the weather during Wimbledon can offer everything from scorching sunshine to downpours and hailstones so be prepared by wearing layers and making sure you have a waterproof, some suncream, sunglasses and a hat with you just in case. Better safe than sorry, as they say! Not much to say, but we know that both of these Wimbledon traditions - when consumed in moderation - will undoubtedly minimise stress levels and put a smile on your face! The official strawberry variety of the Championships is Elsanta (Team M8 won’t eat any other type, naturally), and 112,000 punnets of strawberries are eaten over the fortnight. Freshly picked and delivered to Wimbledon at around 5:30 A.M. for inspection and hulling, these delightful berries - consumed alongside fruit filled Pimm’s Cups - provide much needed sustenance, antioxidants, vitamins and refreshment to the hordes of spectators. The organisers really do take our health seriously, don’t they?! We received this great tip a few years ago and it really has enhanced our Wimbledon experience. We recommend you bring a set of headphones if you are very keen on following the matches point by point rather than simply soaking up the atmosphere. You’ll get all of the benefits of live commentary while being able to partake in the carnival atmosphere! A familiar sight during the Wimbledon Championships, a raptor is flown each morning and evening of, pre- and post-play to scare off any pigeons that might interrupt matches. Introduced in 1999 as an environmentally friendly scare factor, hawks and falcons patrol the skies above the courts all year around. Causing outrage and much media attention last year Rufus - a Harris’ hawk and the club’s most famous protector - was stolen from the club but thankfully was later found unharmed. It was a very tense few days for everyone as the whole of the UK held their breath, apart from the pigeons who looked decidedly smug. So there you have it, a few little tips from Team M8 to help you make the most of the Wimbledon Championships. We can’t do anything about Andy Murray’s performance, but we can make sure that you organise your days without a hiccup and don’t get lost along the way. We’ll be following the matches over the coming weeks, routing for Andy Murray and hanging out in Wimbledon - either watching from Murray Mound, or firing up M8 to get the local info - from Trip Advisor or the Good Pub Guide features - on where's best to go to enjoy watching all the action on a huge screen from the comfort of pub barstool or sofa, favourite tipple in hand. Fingers crossed for sunshine, folks, and come on Murray! Check it out: London Tube map access for M8 users! The warmer weather is intermittently showing itself and here at M8 HQ we’re feeling pretty excited about the summer in the UK. So much so that we’ve been planning for months to enhance and update the services we offer you just in time for any summer staycations, road trips or even just to help you guys make the most of the longer days and balmy (we wish) evenings. For those living in the city, the Tube is an essential part of their lives - it’s their connection to friends, family, jobs and new opportunities. For tourists, the London Underground is the gateway to both hidden and infamous treasures of the city, a cheap way to mingle with locals and get around a huge city.As such, we wanted to make sure that everyone in our M8 community has all of the information they need to be able to navigate the capital, stress free so we’ve integrated the London Underground tube map into our own maps. Fantastic news, isn’t it? So when you’re in London, fire up M8 and you will be able to plan your day/ evening / weekend / heck, your life to great detail making use of all of our features designed to help you navigate, save you money, find friends - to an extent guys, we can only do so much in that department ;) - get the inside track on bars and restaurants, book hotels and locate all of the essentials - cash machine, petrol stations, hospitals.... you get the idea. About London has a great article providing all of the sensible tips you need for travelling by Tube. Read it here. And if you’re a competitive sort, why not try the Tube Challenge and attempt a Guinness World Record? 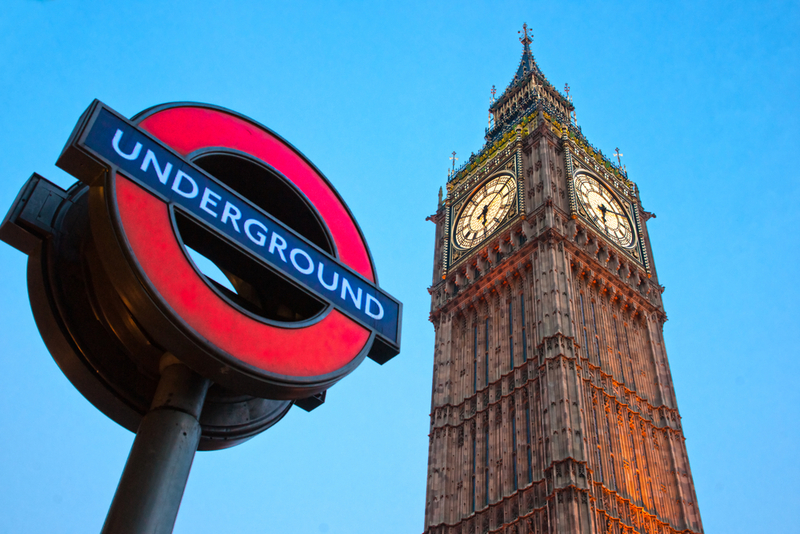 Try to clock the fastest time for travelling to all 270 stations on the London Underground - go on, the record is set at 16h: 29mins: 57s so it’s yours to lose! Ok so we know this is a bit of a London centric post but bookmark it for your next trip to the capital, and let us know if you want us to cover Glasgow’s Clockwork Orange, the Pembrokeshire Coastal paths, Manchester Metro...wherever really, just post a comment below, tweet us @localm8, or leave us a message on our Facebook page!